Wood-eating fungus needs moisture to thrive. Of course, you can't keep a roof from getting wet. 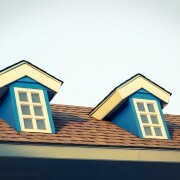 The trick is to keep your wood roof clean so the shakes or shingles can dry before fungus can set up housekeeping. This means getting up there with a broom and sweeping off leaves, pine needles and other debris that can capture moisture. While moss, lichens and algae don't directly damage your wood roof, they trap moisture — never a good thing on any roof and especially bad on a wood roof, where persistent dampness may attract wood-eating fungus. 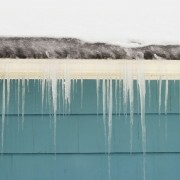 Flashing your roof ridge with copper or galvanized steel will help discourage growth of these organisms. Rain leaches down small amounts of the metal that will discourage growth for three to 4.5 metres (10 to 15 feet) down the roof. For larger roofs, you can string copper wire across the roof. Many manufacturers of asphalt shingles now add coated granules to the surface of their shingles to discourage growth of moss, lichens and algae. If you have growth on your old roof, use these shingles when you reroof. Also called architectural or dimensional shingles, laminated shingles have become more popular than the once ubiquitous three-tab shingles. There are good reasons: Laminated shingles last longer because they consist of two layers of shingle glued together. 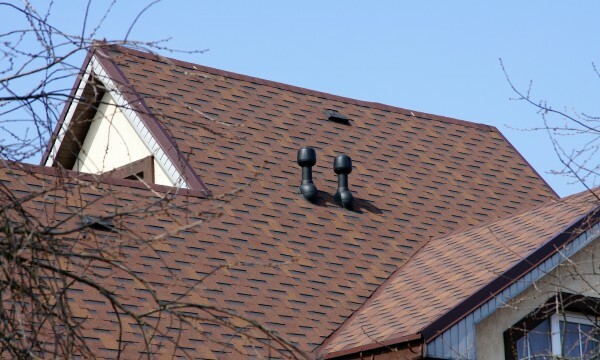 They cost more than single-layer three-tab shingles, but they may be cheaper in the long run when you factor in labour-cost savings from less frequent replacement. Most people find laminated shingles more attractive, and installers like them because there is no pattern to line up. 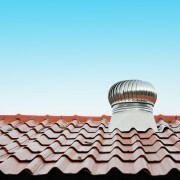 Prolong the life of your shingles and lower your cooling bills by installing ridge vents in your roof. If your attic floor is not sufficiently insulated, warm air rising through your home will warm the bottom of your roof in the winter. 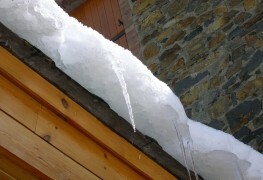 This will cause snow on the roof to melt, flow down the roof, and then refreeze on the cold eave overhang, creating an ice dam. 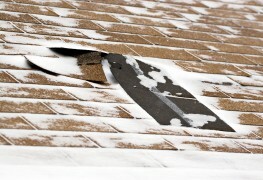 The dam traps water flowing down the warm roof and forces the water under the shingles, causing a leak that can stain walls, soak insulation, and rot rafters. 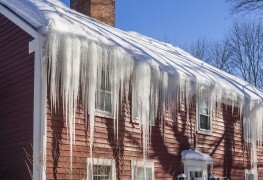 The best way to prevent ice dams is to improve attic floor insulation and ventilation in the attic itself so that the bottom of the roof stays cold and the snow doesn't melt. You'll reduce your heating bill, too.